SUPERFOXX SAY YES 2 IBIZA ! Antalya with the hugely talented Kelli Leigh (‘the voice of UK House Music’ – Danny Howard). We’ve got our single ‘Say Yes’ coming out in July – basically my motto in 2016 is ‘Say Yes’ to every opportunity that comes your way! And now I’m sat writing this post and getting really excited to bring our SUPERFOXX party to the LEGENDARY O Beach Club on Saturday May 21st. We cannot WAIT to be back on the white isle with you all for their opening weekend, I’ve got my bikini packed, set list planned – ha ha I’m so ready!!! My job as head SUPERFOXX is to throw an awesome party and we have a huuuuuge DJ squad coming with us to rock the pool party. Our vibe is all about fun fun fun and our signature blend of house, nu disco old school and funk will have you throwing shapes all day and into the beautiful Ibiza night – it’s going to be totally magical! 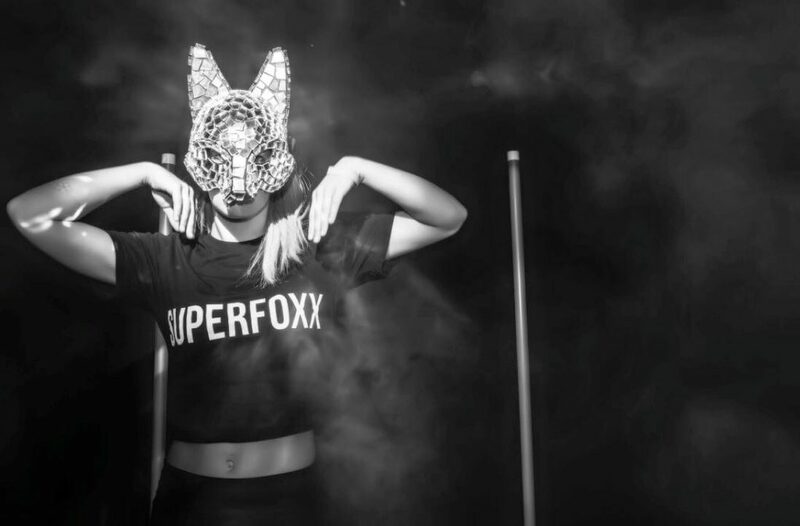 So some of you will know me from my live house show, DJing for Hed Kandi, or touring with Taio Cruz, but my baby is SUPERFOXX, an immersive party brand which I started back in 2013. We search the world and book the best female DJ talent, live performers, visual artists to put on a sensory event you will always remember. We also train up the next generation of female DJ’s at our very own DJ academy. We first took the SUPERFOXX party on the road to Verbier, then straight to Gotha in Cannes for The Expendables 3 premier and where Jason Streatham & Silvester Stalone partied with us!! SURREAL! Since then we’ve taken over stages, beaches and festivals all over the world – but bringing SUPERFOXX to Ibiza is definitely one to cross of my life list!!!! So back to our party in a few weeks… the line up is so hot with some serious heavy hitters behind the decks. As well as a 2hr set from me; we have Capital and Capital Xtra DJ’s Coco Cole and Goldierocks spinning alongside underground tastemaker Timanti and our very own Sarah Jane Crawford and our latest DJ Academy graduate Robyn B. And for all you SUPERFOXXS in the making we have teamed up with Barry M and Vita Coco, offering 4 lucky competition winners a VIP experience with us, staying at the stunning Beach Star Ibiza and starting the day with poolside yoga, incredible make overs and Superfoxx-tails too which we have been working on with London Edition Hotel. The Gin Superfoxx-tail is my fav and perfectly matches sunny Balearic beats! If you want to check out more about what we’ve been up to, I’ve popped some links to with music from the parties and a sneak peak of my current mix, a ‘lil youtube vid and all the info you need to know about SUPERFOXX parties.